The CEREC® system is also referred to as a CAD-CAM system. Simply put, CAD stands for “Computer Assisted Design” and CAM stands for “Computer Assisted Milling.” Therefore, CEREC® uses computer design and a milling device to create custom-made restorations. Acquisition device – This device uses a high-quality camera and a medical grade computer. The unit works together to photograph the tooth you want restored. The device creates three-dimensional images of the tooth on the computer screen. The dentist uses that image to design your custom-made restoration. Three-dimensional CAD software – This provides the dentist with the ability to look at the tooth from every angle. Using this technology, the dentist comes as close as possible to examining the tooth in his/her hands while rotating it on the screen. Milling device – This unit makes the custom restoration based on the specifications from the computer. Your dentist chooses a ceramic block that provides the closest match to your existing tooth color. That block is then placed into the unit. After a few minutes, the milling device produces the restoration designed by your dentist. 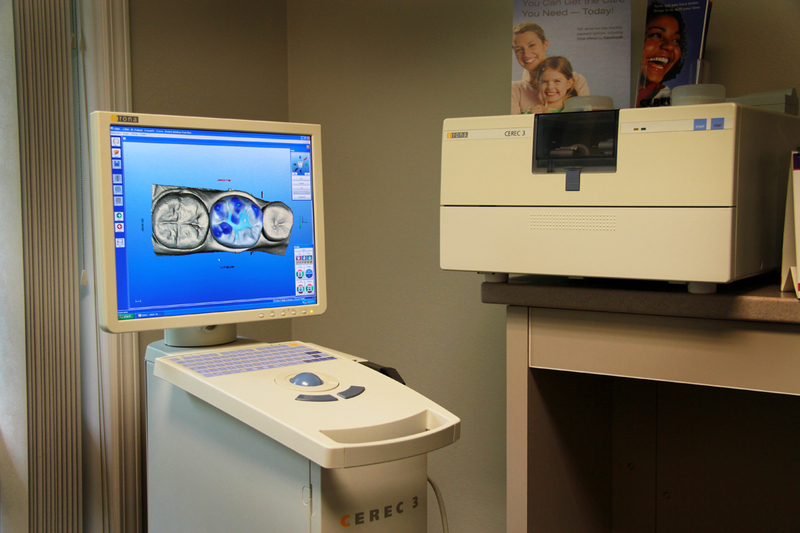 Dr. Davis can provide additional information and answer any questions you have regarding CEREC®.